Sometimes the odds feel to be against us. This was the case with Melanie Lockert. She had $81,000 in student loans and wanted to get rid of them pretty fast. From the outside looking in with her income at the time and her daily expenses, debt repayment didn’t seem possible. 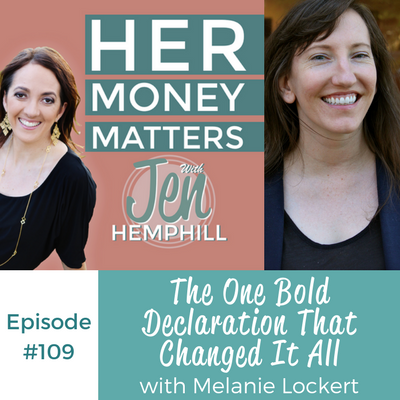 Melanie decided enough was enough and shared her bold declaration publicly. She shares all the details on how it unfolded in this episode! Growing up, there was not a lot of money talk in her household. Her family always rented apartments, and for a long time, Melanie believed that it was the norm for everyone. She was surprised to learn that people actually owned their homes. It seemed there was never quite enough money. Her father was out of work for a long period of time during her childhood which was a family stressor. Melanie’s mom was the sole income earner and bread winner. Melanie’s background was in theater and performance study, where she took on a lot of student loan debt. She grew up with the idea that if someone was interested in the arts, or being creative, they would never make a lot of money. Also factored in was that being rich is greedy and that you were a bad person. As a result, she had a lot of money stories that did not serve her. When she was 13 years, old, she wanted to make some money for herself. Without telling her parents, she went through their CD collection, grabbing any that she thought they never listened to, and then sold them, making about $8-$9. Her parents eventually found out, and she got in trouble over it. They suggested that she should find a different way to make money. After that, she felt stuck and didn’t really know what to do. Later on, she got her first part time job which was a very positive experience for her. Earning her first dollar on her own was a very empowering experience. While studying for her bachelor of arts in theater, she got into $23K of student loans. After working for a while, she decided to go on to grad school and obtained an additional $58K of student loans. This totaled a whopping $81K in debt. To pay off this debt, which she ultimately wrote a book about, called Dear Debt, she started by paying the minimum amount for 5 years. Not really knowing the total amount left after 5 years, she signed up for Mint.com account and saw 68k and had a panic attack. A few days later, she just deleted her account, not wanting to deal with it. Six month’s later, her grace period was coming to a close, and she still hadn’t secured full-time work in New York, so she had a wake-up moment. She could no longer live in New York, and pay off her debt. She decided to move to Portland, which helped decrease her rent by half. The thing is, she wasn’t ready to leave NYC. And she realized that she was a slave to debt and that is was controlling her life. After 1 year in Portland, and not being able to find a job, she was on food stamps and working as a temp. Finally 2 years after graduating, she got a full-time job as an event coordinator, making $30K a year. During this difficult time, and hitting rock bottom, she felt a great deal of shame, especially after taking on the debt and not having a full-time job to show for it. She was angry with herself and felt that her net worth was linked to her self-worth. She was in a very low place. 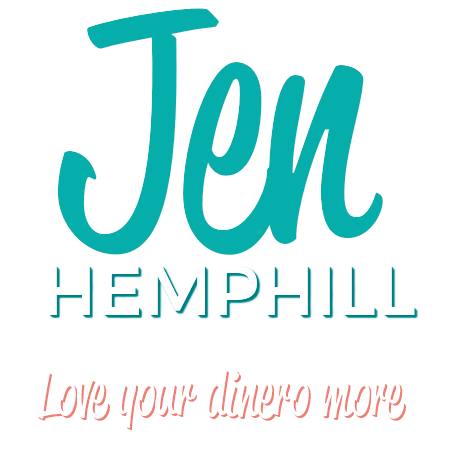 On January 3, 2013, she decided to start her blog, Dear Debt, to stay accountable. At that time, she had $57K of debt left and had a goal of paying it off in 4 years. At that time, she was making $12K per hour, and she had no idea how she was going to do it. After starting her blog, everything changed. She started side-hustling as a freelance writer, doing social media, and editing. A whole world of side-hustles was presented to her. She was soon matching her earnings from the non-profit as a freelancer and knew that if she freed up her time, she would make even more. So she quit her non-profit job and paid off her debt in 4 years. In 2015, after winning the best debt blog Plutus award, she was approached by a blog-publisher to turn her blog into a book. The book, Dear Debt, released in 2016, reads as part memoirs, part actionable advice, and part debt letters. It is a great fit for people that are in any kind of debt. For Melanie, being self-employed is challenging – you need to figure out the minimum you need and how to achieve it. Being in the service industry, her income fluctuates greatly, so she has learned to have confidence in herself, and avoid the feast or famine that so many fall into. She also feels like she has to make up for lost time. She didn’t really save much or invest while she was paying off her debt, which is one of her regrets. While she is making some progress now, she still has challenges around how much to spend on her business and finding the Goldilocks level, that is just right! While Melanie feels that she didn’t really have any great money role models, she shares that her mom was someone who inspired her greatly in terms of work ethic, being the sole breadwinner of the household. Her mom is one of six children raised by a single mom and grew up quite poor. As she transformed her life into a successful career, she showed Melanie that hard work and dedication can pay off. Melanie is hosting the Lola retreat which is a women and money retreat being held in Portland, OR, from August 18th to 20th 2017. 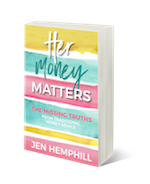 Although it is geared to the millennial generation, all ages are welcome, and it is designed to be a safe place for women to talk freely, and provide hands-on workshops on how to handle money. They will have several guest speakers on money mindset for individuals and couples. This is a women’s only retreat because there are several studies out there that when women are in a group with men, men speak more often, and interrupt women more frequently. So keeping it women only will allow more freedom to the women to express themselves. It can lead to choices.